Dr Matteo Bonotti is a Lecturer in Political Theory at the School of Law and Politics at Cardiff University. He obtained his MSc in International and European Politics (with Distinction) and his PhD in Politics from the University of Edinburgh. His research interests are diverse but unified by a common underlying theme: ethical pluralism and cultural diversity in contemporary societies, and the question of how the state should respond to it. Matteo is especially interested in linguistic justice, free speech, political liberalism, the political theory of food policies, the normative dimensions of partisanship, and religion and political theory. 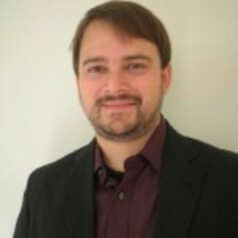 His work has appeared in such journals as the American Political Science Review, the European Journal of Political Theory, Philosophy & Social Criticism, the Critical Review of International Social and Political Philosophy, the Journal of Social Philosophy, the Kennedy Institute of Ethics Journal, and Res Publica. His monograph Partisanship and Political Liberalism in Diverse Societies will be published by Oxford University Press in July 2017. Several of his research activities have been supported by a range of sources, including the Wellcome Trust, the Economic and Social Research Council (ESRC), the Society for Applied Philosophy (SAP), and the Political Studies Association (PSA).